Georgine Saves » Blog Archive » News Flash: Amazon Offers FREE Shipping for ALL! News Flash: Amazon Offers FREE Shipping for ALL! #ad This is great news for all of you that haven’t joined Amazon Prime!! 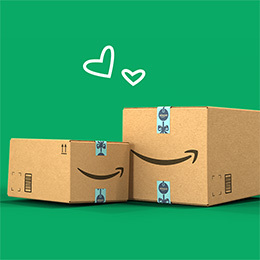 Amazon.com is dropping its FREE shipping minimum for the holidays! The company announced that it’s waiving the usual $25.00 minimum fee required for non-Prime customers in a US-only promotion. As far as I know this is the first time it’s done that! Start shopping!!! You can read all about it here.